Make your work shifts merrier with WonderWink stylish cargo pant for tall ladies that gives a classic fit with unmatched comfort. Featuring angled pockets for storage, a drawstring with elastic waistband at the back for ease of wear; the pant is a workwear essential. 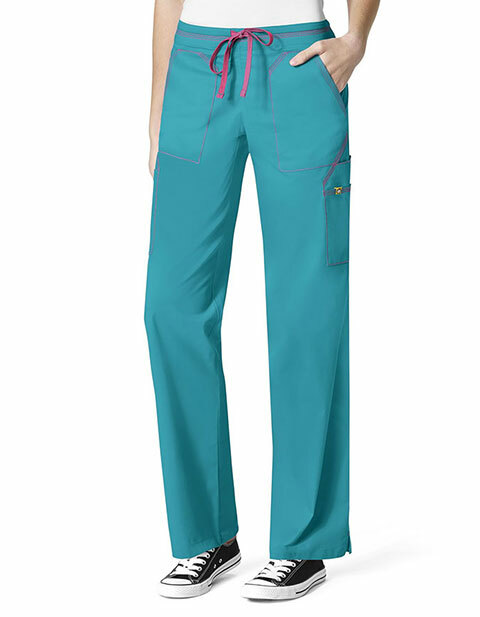 Moreover, triple needle stitching and bartack at stress points are also available providing you with extreme comfort while it's soft flex stretch twill fabric ensure efficient performance.